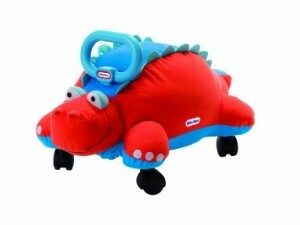 My son got this Little Tikes Dino Pillow Racer for his first birthday and both him and my oldest (3 years) LOVE it!! If you have a little one to buy for, you will definitely want to head over to Amazon and get the Little Tikes Pillow Racers – Dino for only $19.98 (reg. $46.99)! Super Saver Shipping will be FREE with an order over $25 or get FREE 2-day shipping with Amazon Prime! You can also get the Little Tikes Pillow Racers – Turtle for $19.98!